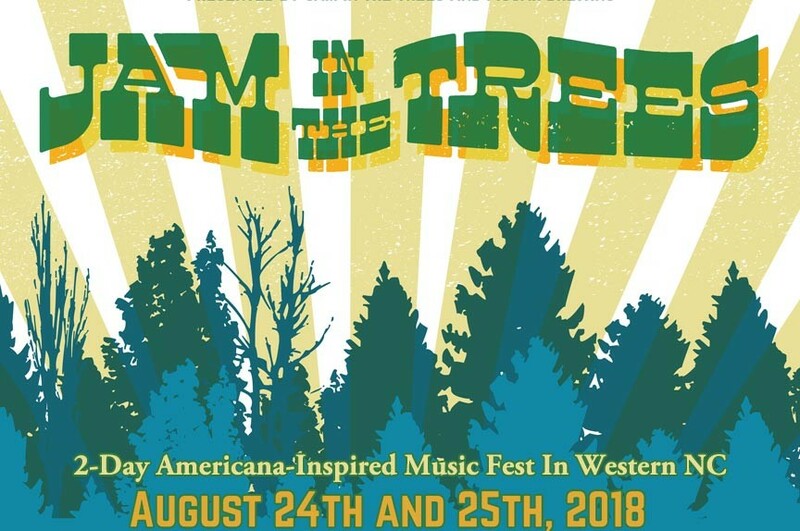 The third annual Jam In The Trees music festival is back with a diverse lineup of legendary musicians, food trucks, local artisans, and award-winning beer. August 24th and 25th, 2018. Jam In The Trees is an annual Americana-inspired music festival held just outside of Asheville at Pisgah Brewing in Black Mountain, NC. The festival has already gained the kind of reputation that draws big artists and audiences alike. Though still young, the festival has already earned a nomination for IBMA’s prestigious Momentum Award. This year’s festival is no different with 14 exceptional artists on the schedule. As usual the music will be presented on both indoor and outdoor stages. Best of all, the sets have been strategically scheduled to avoid overlaps: no tough choices – see them all! Hosted by Jim Lauderdale and The Po’ Ramblin Boys with special guest artists on the indoor stage. Jam In The Trees also includes opportunities to enjoy award-winning Pisgah beer, and delicious fare from local food trucks. An array of local artisans and vendors will also be on hand with unique and hand-crafted items for sale. Complimentary shuttle services between the festival and downtown Asheville offers a safe and easy travel alternative. VIP tickets are available for intimate meet and greets with multiple artists. Learn more and buy tickets online at the Jam In The Trees website. You can also follow the event on Facebook. Looking for Asheville area accommodations? North Lodge On Oakland, is an Asheville B&B, offering six luxurious guest rooms to choose from. Enjoy an Asheville home away from home on a quiet residential street yet just minutes from all the best, Asheville attractions! Book your Asheville getaway today at North Lodge On Oakland!